Geopark Langkawi is the most Northern archipelago located on the Westside of Peninsular Malaysia; located 30 km off the mainland. The archipelago consists of the main island Langkawi and almost 100 small surrounding islands; only four of them are inhabited. Langkawi lies very close to the border of Thailand, the nearest island Koh Lipe is only a 30 minute boat ride away. The island falls within the district of Kedah, and contains 479 square kilometers of tropical grounds. 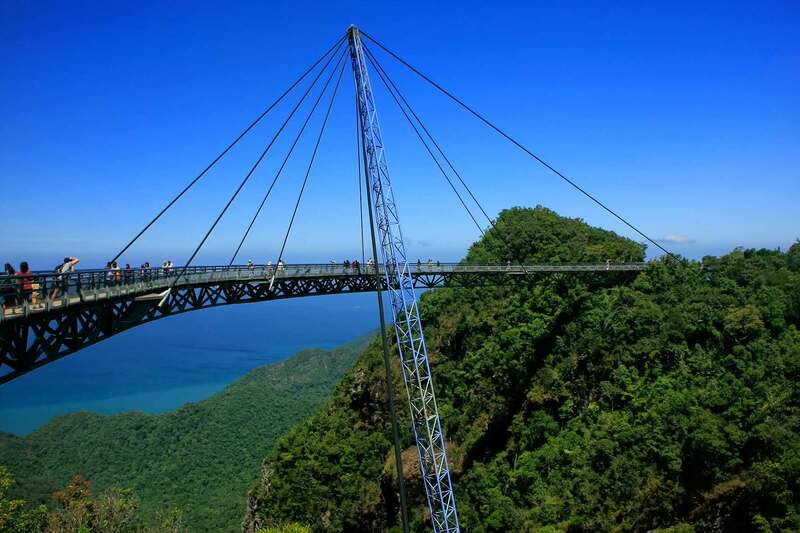 Langkawi has more than 62,000 inhabitants, most of which live in the capital town of Kuah, the rest of the population is spread over a number of small villages and around a large number of resorts on the island. Most inhabitants of Langkawi are of Malay origin (around 90%) followed by a small Chinese and Indian community; in contrary of neighboring island Penang, where the majority is of Chinese origin. After tourism the main source of income for the islands population comes from fishing, padi and rubber cultivation. The island has a duty-free status; this means that prices throughout the island should be a bit cheaper although we have never really noticed this, since this is mainly relevant to perfumes, liquor and tobacco. A good bottle of wine in Kuala Lumpur can easily cost you around RM70, while an equally good wine in Langkawi is often sold for half the price. Alcoholic beverages that are sold at the resorts and bars (around Pantai Cenang for example) are very cheap compared to prices in other parts of Malaysia. Langkawi is becoming one of the most popular tourist destinations within Malaysia; over 2.5 million tourists visit the island yearly. 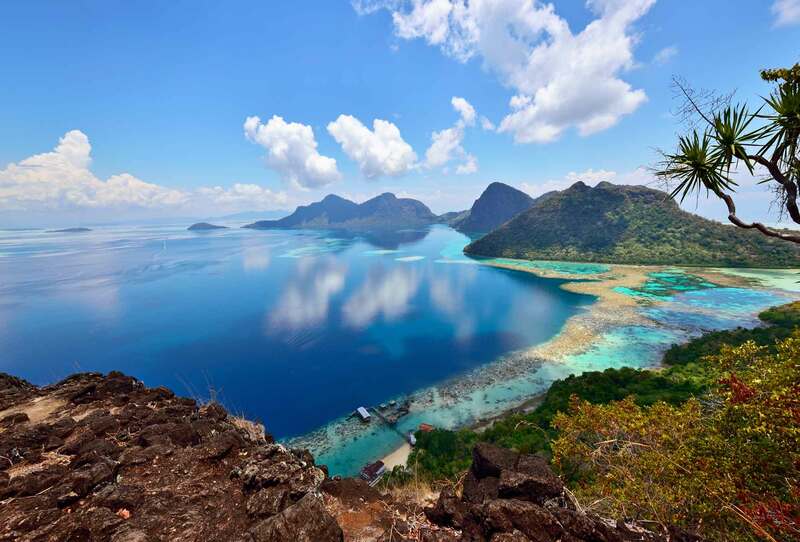 On June 1 2007, Langkawi Island has been given a World Geopark status by UNESCO; which will eventually attract even more tourists to this wonderful island. For many travelers Langkawi is the first acquaintance with the beautiful country Malaysia as it is not only one of the most beautiful islands of Malaysia; it is also very easily accessible. You have amazing beaches and the inland is very beautiful. There is more than enough to experience and to keep you entertained for at least a week. If you prefer to relax on the beach a longer stay is also very nice. Langkawi is a wonderful tropical island, but unfortunately the seas directly around the islands aren't suitable for scuba diving and snorkeling. For that you can best visit the islands to the east coast of the Malay Peninsula (Perhentian, Redang and Tioman) or some of the Thai islands a bit up north. You can visit Langkawi throughout the entire year; there is no real monsoon season. It can rain daily (sometimes quite heavily) but this is quite normal in these parts of the world. Should it rain, it usually doesn't last for more than an hour. The rainy season in Langkawi falls between the months of May and September. During these months it rains a bit more then it usually does. We were unlucky once when it rained non-stop during our complete stay at the island. The archipelago is characterized by beautiful hills, valleys, mountains, jungles, beautiful unspoiled beaches, waterfalls, rice fields and quaint villages. Unlike Penang, Langkawi is a very tranquil island. For cozy evenings you'll generally stay at your hotel or resort and if you come for night markets, shops and other entertainment, then you can best stay in the area around Pantai Cenang. Here people sit outside at the many open air bars every night. The island has a beautiful nature and many interesting sights and attractions. The island has its own airport and even international airlines embark here. Besides transport by air a large part of the transport goes over sea. From Langkawi boats go to the nearby island of Penang, to the mainland, and even to Thailand. The southern (south-western) part of the main island is the most densely populated area; here you'll also find the most hotels and resorts. In the north you'll find a number of luxury resorts , some so luxurious that only the rich and famous can afford staying there (in fact many renowned Hollywood stars have stayed at the resorts north of the island of Langkawi in the past). I know enough people who went to Langkawi for some days, but stayed for weeks. Should you only stay for a couple of days, use your time wisely. Just rent a small motorcycle (100/125cc modern scooter), and explore the complete island. Officially you need to be able to show your international motorcycle license, though outside of Kuah they will probably not ask you for this. Around Kuah you often cannot get a motorbike without valid proof of a motorcycle license as local police not only check tourists occasionally, but also the rental company where those tourists got their motorbike (which results in fines for both parties involved). You can also hire a rental car on the island; prices usually start from RM120 a day, but due to fierce competition it is possible to drive a car for a much cheaper price (we once paid RM80 per day). Do not linger at your resort during your complete stay, be active and you'll see for yourself why we think Langkawi is one of the best places to visit in Malaysia. As said before, I do not know of many other islands where you can do so many things or visit so many attractions. The best attractions are Seven Wells, Langkawi Cable Car, Kilim Geoforest Park boat tour, Eagle & Lagenda Park, Tumerun Waterfall, Durian Waterfall, exploring the inlands on a motorcycle, visiting some of the nice temples, eating out at the many hawkers or food courts, Underwater World and the secluded beaches (and Black Sand Beach) at the north side of the island (area of Tanjung Rhu and Four Seasons ). 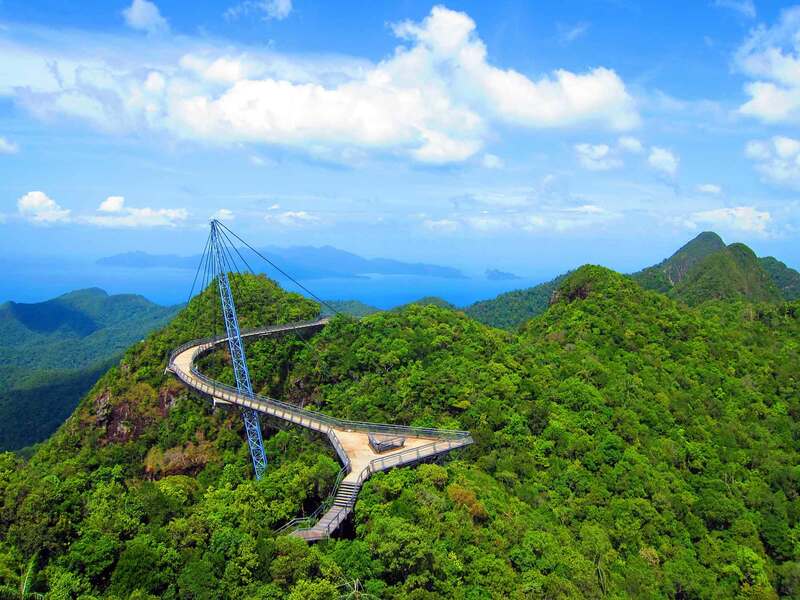 Most of these attractions are also fun for children; which make Langkawi also a great destination for families. Animal and nature lovers will have a blast on the island. There are many different animal species that live on Langkawi. Don’t be surprised if you spot a huge monitor lizard alongside of the road. Also don't be surprised if you encounter a road being blocked by a group of cows or monkeys. Especially in the Burau Bay area you are likely to encounter many monkey-species. Watch out for the Macaques, they tend to get aggressive around people. The Silver leaf monkeys are very sweet, but make sure you don’t feed them to ensure they keep their natural instincts. In the garden of the Mutiara Burau Bay resort you can spot the awesome looking butterfly lizards. Every morning these lizards bask in the sun for warmth, this is the best time to spot them. When you come too close, they vanish in one of the many holes in the ground. Sometimes you can see them fight; they take on a very cool looking fighting stance. They have 'wings' between the front- and hind legs, which they can spread open when angered in order to impress opponents. Langkawi can be visited throughout the year. There is a mild monsoon period between June and September. We have visited Langkawi many times during this rainy season; and all except for one visit was with great weather. That one visit we were unlucky; as it rained from the moment we arrived until we took off again by airplane. In those four days it had been raining hard non-stop during the days and nights. This really is an exception; all other visits during this time of the year were great with much sun and of course the occasional rain shower at the end of the day. During the rest of the year the weather at Langkawi is great. Although Langkawi is a beautiful tropical island, scuba diving and snorkeling is not possible directly around the island. People that would like to enjoy diving or snorkeling have three options; they can book a day-trip to Pulau Payar (one hour by boat from the island of Langkawi); second option is a day-trip (or even an overnight stay) to the neighboring Thai island of Koh Lipe. Lastly you can take a flight from Langkawi to one of the islands that are renowned for diving and snorkeling possibilities like Perhentian, Redang or Tioman.